← How Can Respite Care Help You and Your Loved One? How often does your senior loved one interact with other people besides you? When they’re staying at home most of the time, they may not have enough socialization as necessary. Social interaction is very important in the senior years. It enables your loved one to maintain positive disposition as they go about their day-to-day lives. With a good companion, your aging loved one’s social engagement can help maintain their overall health and wellness. When seniors are interacting with other people, they are engaged in good conversations that sharpen their cognitive functioning. Consequently, the mind works to grasp the substance of the exchange while also remembering memories and details to supply to the discussion. Hence, having a companion to talk to can help enhance their memory and reduce the risks of dementia. Your senior loved one may have enjoyed different activities that are now stopped due to retirement and aging. As a result, they may feel anxious about their current state, leading to bouts of loneliness and social isolation. Emotions like these can contribute to major stress and even complicate heart ailments. With a good companion, they have someone to interact with every day, thus pushing feelings of loneliness and depression at bay. A companion for the elderly could also serve as a care provider who will be able to help and assist your senior loved ones with various personal tasks. Someone can assist them in doing chores, bathing, or even walking up and down the stairs. With a companion, the risk of accidents can be reduced. With a trusted companion, your senior loved one can also attain the sense of security they need. This is because they will be assured that someone is there to constantly check on their health and safety. They will also have someone to ask for help or assistance from. 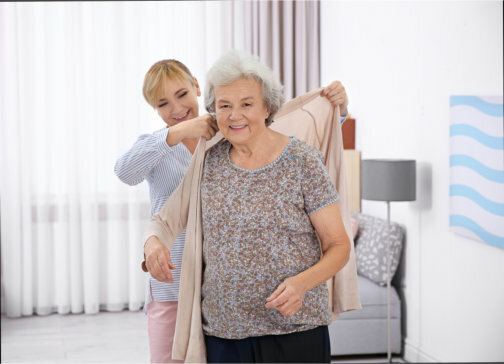 These are among the many benefits that your elderly loved one can enjoy when they have a good companion, especially if that person is someone from our team, providing them with in home care services in Oakland Counties, Michigan. You can trust that we always serve with efficiency and compassion. At Heaven Sent Home Support Services, we understand the importance of companionship and proper care for senior individuals, especially when they are living at home on their own. For this, we’re dedicated to providing safe, high-quality, and reliable personal care services in Southeast Michigan. Would you like to request someone to be your loved one’s companion at home? Kindly reach us for inquiries at 248-262-7111. This entry was posted in Senior Care and tagged Elderly Companionship, Healthcare, Home Care Assistance. Bookmark the permalink.